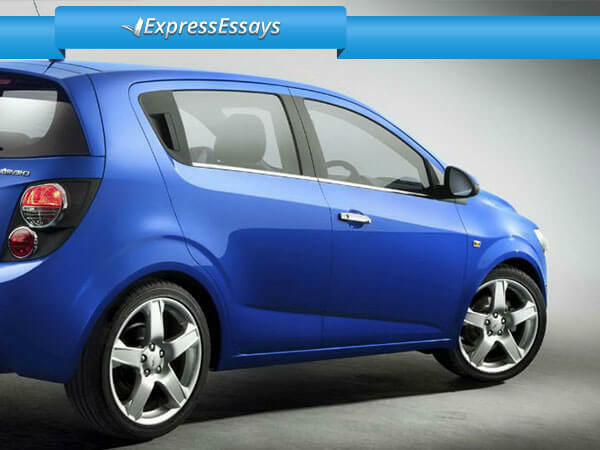 Do you know the joy of purchasing your first car while being a student? That amount of joy is really difficult to describe. Of course, not all college students need and have an opportunity to do so. However, those who have a job or have a lot of duties and need to move around fast will find it difficult to function without a car. The Hyundai Accent (estimated cost $10,500). It’s affordable, safe and a great option for college students to own. Either you want to buy a new car or a used vehicle, you are bound to find a good price. This car is also a great choice in terms of saving gas (its approximate MPG is 31). The Chevrolet Aveo (estimated cost $12,200). It’s not as popular as the Hyundai Accent, but it is definitely as good. The Chevrolet Aveo is a perfect car for college students who want to buy a reliable vehicle and dislike hatchback cars. Cool thing about this car is that it’s also great in terms of saving gas (approximate MPG is 31). The Toyota Yaris (estimated cost $13,300). Chances are, this is the most popular vehicle with college students in the US. The Toyota Yaris has inexpensive parts, great warranty, 32 MPG is of great quality and looks very cool. No wonder it’s so popular. The Suzuki SX4 (estimated cost $14,000). The Suzuki SX4 is a small car with the safe structure and a spacious hatchback. Its MPG is 26 and it offers a durable and safe experience for everyone who owns it. The Kia Forte (estimated cost $14,200). Although it’s the most expensive car on the list, it’s still a very good purchase in terms of price-quality comparison. Being a bigger sedan vehicle, it offers a lot of advantages at a little bit higher cost. Its MPG is 29. All five vehicles on the list have everything that a college student requires – they are affordable, safe, have low MPG, inexpensive parts and they all look great. All of these things are important to consider when buying a car on a budget, because they allow you to save money not only on the initial purchase, but also on further service. These cars are also an excellent option for those who are looking for a long lasting vehicle, which can be easily re-sold or upgraded in the future. If you decide to purchase one of these cars, keep in mind that they all require maintenance just like any other item or car, so you should consider having some additional sum of money for that. In case, after reading the article you still don’t know what car to buy, we advise you to go to the local dealership to see everything with your own eyes, touch everything with your own hands and make a decision.